RC4WD Raceline Monster 1.9" Aluminum Beadlock Rock Crawler Wheels are precision machined, officially licensed scale replicas of the Raceline Wheels Monster! These wheels fit a standard 12mm hex, and are compatible with a variety of 1.9 class rigs. 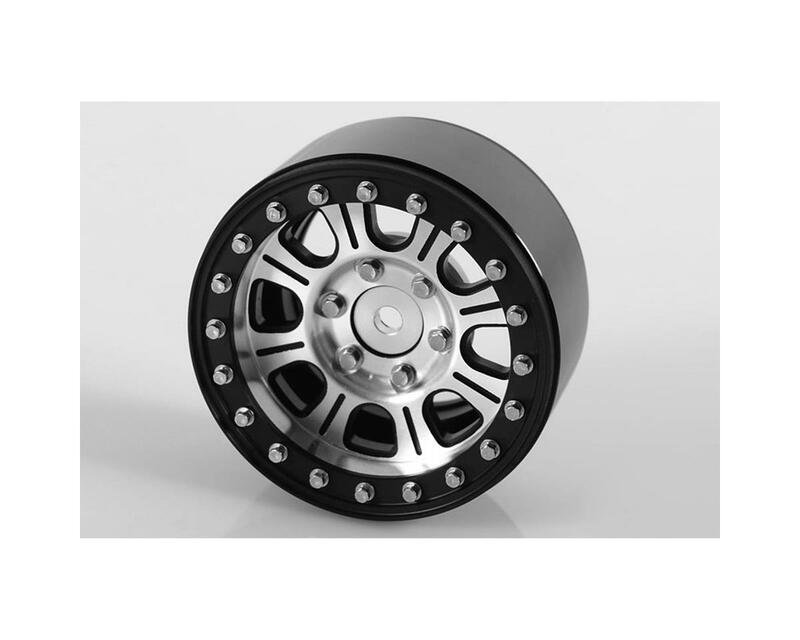 This wheel is a 5 piece design, and includes RC4WD scale bolts to finish off the look. Plus, unlike other aluminum wheels, these are sold in packs of four and include 6 lug bolt on hubs! These wheels rub on the TRX-4 Portal and are not compatible unless you add 10-12mm extra offset. Due to many different methods to design Tires and Wheels, RC4WD has no control over other manufacturers products and can only guarantee that RC4WD Tires and Wheels work together. In some cases RC4WD Wheels and Tires will work with other brand Wheels and Tires, but RC4WD does not guarantee the results.